Are you a teacher, parent, or leader looking for a way to inspire others to discover, understand, and respect their natural environment? Look no further than Leslie’s onsite and offsite programming! We’ll bring wildlife to your library or your students to our vernal pool. 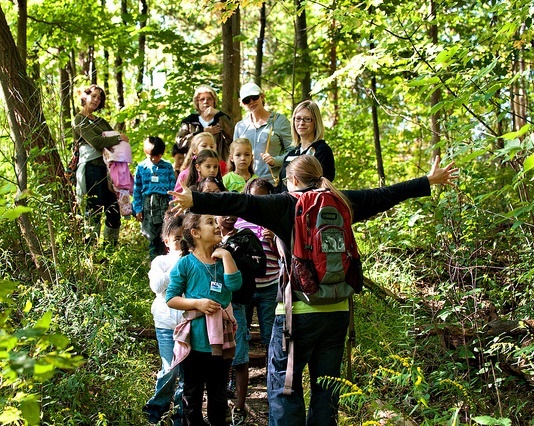 Let us inspire your group to learn and explore all that nature has to offer! Scout Programs at our place for girl or cub scout, school, and other community groups. Click here to view our Education Catalog. If you are a leader that doesn’t see what you’re looking for, don’t worry! Call our office (734.997.1553) and we can customize programs for different grades, ages, and interests. Yankee Air Museum we provide over 100 different programs at our facilities, on site at your location, or through interactive video conferencing.